Your iPhone is a part of your daily life and it’s almost tough to imagine a day without using it. From doing basic tasks such as making a phone call, texting, listening to songs, taking pictures and videos etc. to any advanced task, you are always using your iPhone. Taking notes on your iPhone helps you to remember things and maintain schedules while you complete your work. Notes help you to write down important things and make your daily tasks easier to perform in a timely manner. So losing those notes is never an option for you. If you have accidentally lost or deleted notes from your iPhone and you want to recover iPhone notes from backup or without backup, then you have come to the right place. With the help of this iPhone notes recovery article, you will be able to recover deleted notes from Apple iPhone in no time. If you have broken your iPhone, you can also learn broken iPhone recover notes from here. So keep reading till the end. You accidentally deleted your notes from iPhone. When you are performing iTunes or iCloud restore and it went wrong for some reason. Any kind of error caused by wrong iCloud syncing. You upgraded your iOS version to causes the loss of the notes. You were jailbreaking your iPhone and it was a failed attempt. The best solution for iPhone recover deleted/lost notes is iBeesoft iPhone Data Recovery software. 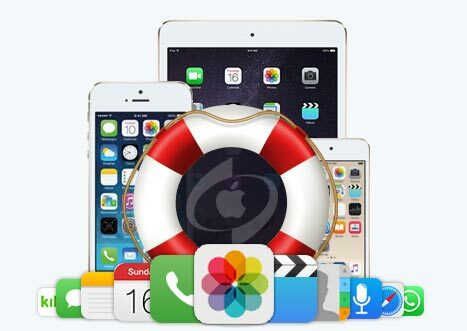 There is no other iPhone recovery software that can give you a guaranteed solution to recover lost data from iPhone, iPad and iPod touch, iTunes and iCloud backup files. This one and an only tool will help you to not only recover notes after iPhone reset but also recover deleted notes from Apple iPhone when you have accidentally deleted or lost them. 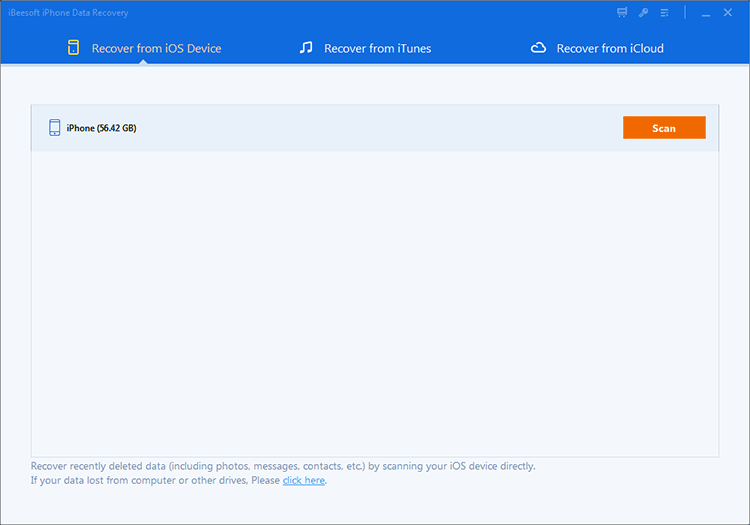 It has 3 recovery modes to ensure successful note recovery that includes the iOS device, iTunes backup, and iCloud backup recovery. It can recover permanently deleted/lost photos, videos, messages, contacts, call history, WhatsApp etc. from iPhone, iPad and iPod touch. It can recover iPhone notes from various scenarios such as – accidental deletion, system crash, virus attack, restored to factory settings, stolen or damaged, iOS update stuck at apple logo, jailbreak etc. and many more. It’s really easy and simple to recover iPhone notes without backup by using iBeesoft iPhone data recovery software. You must have the latest iTunes installed on your computer for this process, so make sure you have it. Here is how you can do recover iPhone notes without backup. First, you need to download and install the notes recovery iPhone software on your computer. Then launch the tool and connect your iPhone by using a USB cable in your computer. When you get the home interface of the program, just select "Recover from iOS Device". The program should automatically detect your device, if it doesn’t, then tap on "Trust this computer" in your iPhone. The software will detect the iPhone immediately. Then click on the "Scan" button to let the program scan your iPhone. Within a few minutes, all your lost data will be displayed in the software window of your computer screen. You can easily preview the files, choose the right ones and then click on the "Recover" button to recover deleted notes of Apple iPhone in your computer. If you don’t want to use any iPhone notes recovery software to recover deleted or lost notes on iPhone, you can also restore iPhone notes with iTunes or iCloud backup file. But the drawback is that all the data will be replaced by the data in the backup file. So it’s easier to recover iPhone notes from backup or without backup by using iBeesoft iPhone Data Recovery software. Still if you want to do it, follow the below guideline. 1. First, you need to launch iTunes on your computer and connect your iPhone to your computer with a USB cable. Trust your computer from your iPhone so that it gets connected to your computer. Now select your iPhone when it is visible from the iTunes software interface. 2. On the "Backups" tab, select "This Computer" and then click on "Restore Backup". 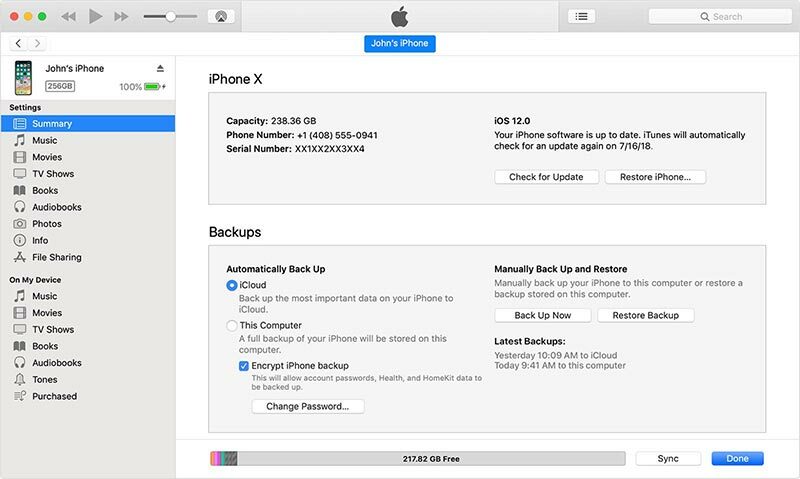 Then select the latest backup that contains your lost iPhone notes and click on the "Restore" button from the pop-up window. Wait for the restoring iPhone notes process to finish and keep your iPhone connected till it restarts and gets synced to your computer. 1. First, you need to go to the "Settings" menu and go to "General". Then select "Reset" and tap on "Erase All Content and Settings." Then when your iPhone restarts, tap on "Restore from iCloud Backup" from the Apps & Data screen and sign in to iCloud. 2. 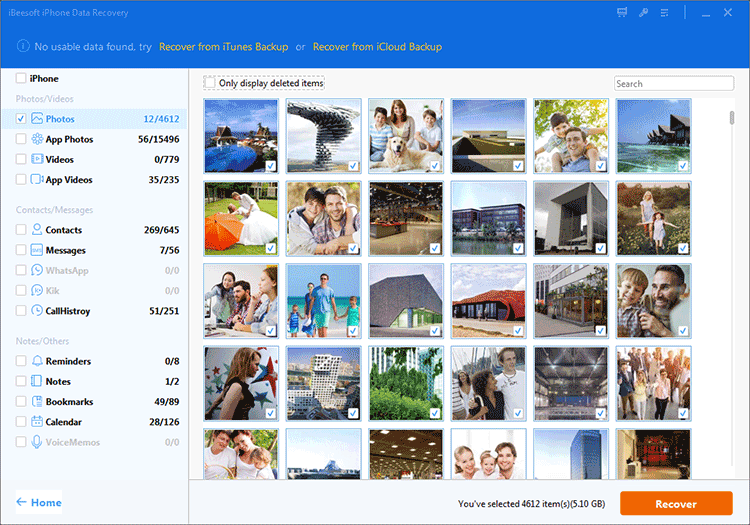 Next, you need to choose the latest iCloud backup that contains all your lost iPhone notes and after you select the backup, the notes recovery process begins. 3. Wait till the process completes and your iCloud backup will be restored notes from iPhone. You can clearly understand that you can easily recover iPhone notes from backup or without backup. 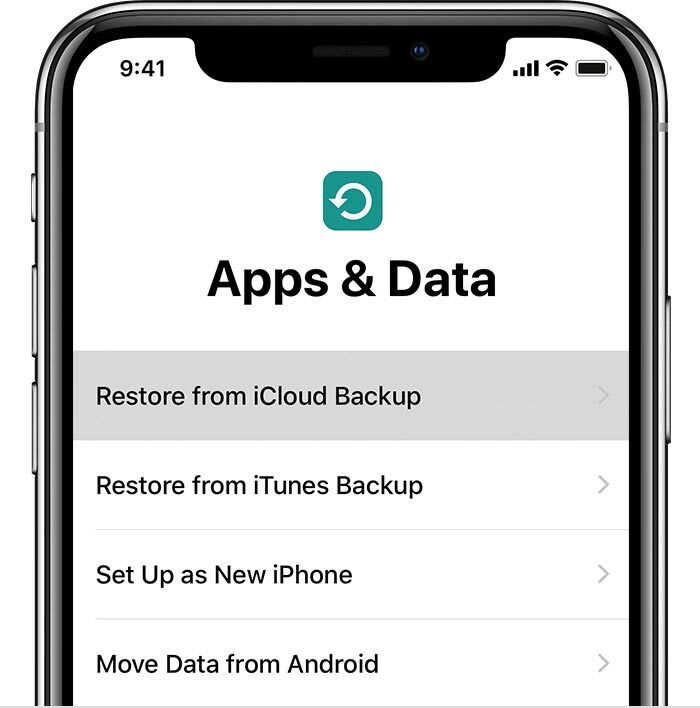 You can use the official methods to recover deleted notes from iPhone, but you definitely don’t want your whole iPhone data to be replaced by the data from a backup file. So as it’s easy and 100% guaranteed, you should start using this best free iPhone data recovery to solve your problem.